Elizabeth uses tampons with a pad as backup during her heavier flow days because she worries there will be leaks. She has thought about using higher absorbency tampons without a backup pad but she feels that these tampons will be uncomfortable. 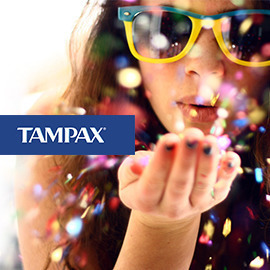 Tampax, a leading brand of tampons, has designed a new tampon to solve this protection-comfort trade off. Can you help Tampax convince young adult women that this tampon is what they have been looking for: the ultimate tampon for comfortable, leak-free periods?